You know how sometimes things work out a little differently in your head than they do in real life? Haha. Ha. Hahahahahaha. 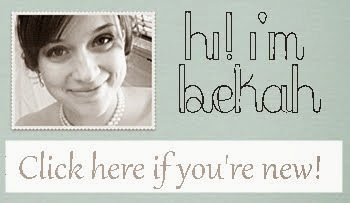 Stupid Bekah-of-four-days-ago. Stupid, stupid, stupid. So anway....the pics weren't awesome. Not by a long shot. Every time I set the timer and ran back to get into position the dog thought I was playing and started jumping around, and then Jack caught a wild hare and started making faces. I mean, the kissy lips are cute, but not really what I was hoping for, you know? This next one probably would have been the best...but a certain someone once again bombed it. Oh yeah, Jack was HIDING BEHIND A TREE. And then he had an emotional breakdown when he realized we were out of gummies. And then. AND THEN! We found an awesome covered bridge just minutes from our house and wanted to take a picture in it. This was going to be it, I could feel it! Until we saw that a precious little dog had been hit on the side of the road. Awful. (He didn't actually see it, he was just mad because we decided not to go in the bridge, and we didn't want to tell him the real reason we turned around). ...it's fitting. I mean really, I don't think anyone can bomb a photo session like we can bomb a photo session, you know? absolutely perfect photos and perfect choice for a Christmas card!! I want one by the way!!!! Have a great week Bekah!! Haha thanks!! I will definitely send one your way! haha, I actually love these pictures! You should get a remote for your camera. Mine was under $20 from Amazon. Works great. I keep meaning to get one! Its one of those things I forget about until I actually need it! I did go in to our local camera shop to pick one up, but their cheapest one was 40 bucks! Haha uhhh holy markup? I'm really impressed that you even attempted this! Haha thanks! I knew I wouldnt get professional results, but man that was frustrating! I adore that last photo. It's so...real life awesome. Haha it is definitely real life! BAHAHAH! Love this. You're so sweet. Ditto Megan and I'd totally use #1 or #2. They still came out super cute! Very candid and real! I adore the last one. Many years from now it will bring back far more memories than the "perfect" family photo. It would remain on my frig for a long time, because it says to me look as us, our crazy little family full of love. That is so hard to capture on film. Great job! Lol, this post is hilarious! I feel your pain, family photos with kids are impossible...and I've never tried to include a dog. That one with Jacks eyes closed is sooo close to being perfect too. Freakin kids, lol. I love them and so does your dad! P.S. The last one is my favorite! SO ADORABLE! Is it bad that I liked all of those pics??? Even with Jack's silly faces! LOL So cute! The last picture is awesome and would make a great Christmas card.